Measure the sub-floor to determine the total square feet of plywood required for the application. As noted by the Canada Forest Products Information Portal, plywood is available in 4-by-8, 4-by-9 and 4-by-10 foot sizes, depending on the thickness selected. Select and purchase the recommended type of plywood based on the specific type of finished flooring that will be installed over it. 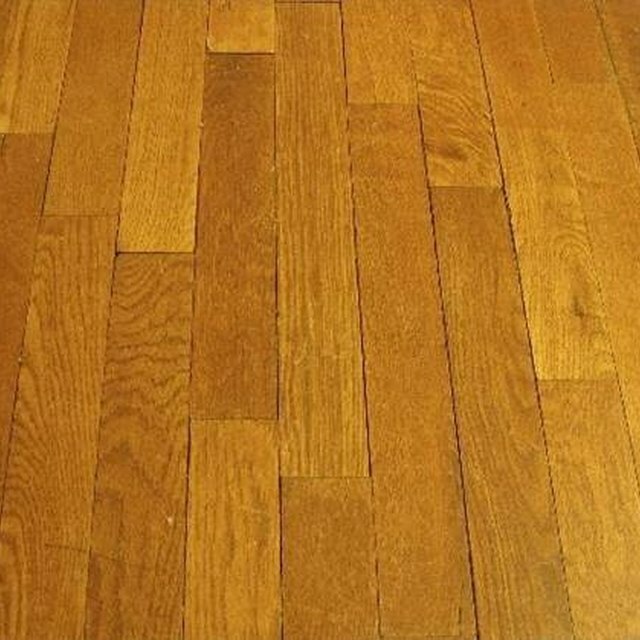 As mentioned at the Online Tips website, the grade of plywood required varies based on the kind of finished flooring. Rosboro Company, a lumber supplier, offers a handy quick selection guide reference for choosing plywood type based on finished flooring application. Start in a corner when beginning underlayment installation and then work from there across the sub-floor. Avoid overlapping the seams in the sub-floor by cutting the sheets of plywood as necessary so that smoothness will not be compromised. The iflooringinfocom website recommends the use of 1-inch deck screws or ring-shanked nails to attach the plywood sheets to the sub-floor. Fasten each sheet of plywood by counter-sinking a screw or nail “every 2 inches along the edge and every four inches along the remainder of the sheet” as recommended by Halex Corporation, a flooring installation manufacturer. Halex also notes that plywood panels should be “lightly butted” together, not forced tightly together. A 1/4- to 1/2-inch expansion gap should be left between the edges of the plywood and the walls. Mix and apply some flooring patching compound to the seams and to the countersunk heads of all nails or screws after completing the attachment of the underlayment to the sub-floor. Scrape off any excess patching compound with a putty knife after it has dried thoroughly and then use a belt sander to sand the surface smooth. Clean the underlayment of all sanding dust before beginning finished flooring installation. Rosboro Company: Plywood Quick Selection Guide.